Sean Doran has spent twenty years in third-world war zones and natural disaster areas, fully embracing what he'd always felt was his purpose: doing as much good as possible. 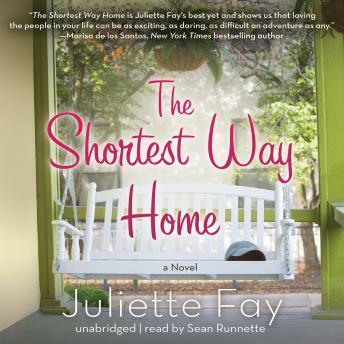 But when burnout sets in, Sean finds himself reluctantly drawn home to Belham, Massachusetts, the setting of Juliette Fay's much-loved Shelter Me. There, he discovers that his steely elderly aunt, dramatic sister, and quirky nephew are having a little natural disaster of their own and that midlife romance gets complicated fast when the high school queen bee is involved. But it's an old friend-the class wallflower-who has Sean wondering if his destiny is about to be rewritten all over again. Another perfect slice of life from the irresistible Fay, this novel is full of humor, heart, and hope for finding yourself where you least expect to. Really enjoyable and thought provoking book. Well worth renting.